- Who is Precious Touch Home Healthcare, LLC? Precious Touch Home Healthcare, LLC is a home health services provider based in Connecticut. We provide personal care services, companionship and home health services which we can administer in the comforts of your home. – How long has your company been in the industry of providing Home Care Service in Waterbury, CT? 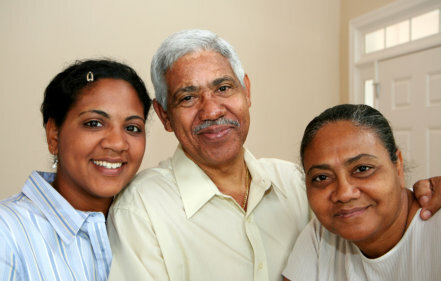 Precious Touch Home Healthcare, LLC has been serving the citizens of Connecticut with home health services since 2010. – Can I get references and/or recommendations from your past clients? Absolutely! Feel free to call us at 800-723-1794. We will be happy to provide you the references you request for. They can attest to how our agency has made a difference to the quality of life of their elderly, disabled or ailing loved one. – What advantage does your company offer? With Precious Touch Home Healthcare, LLC you can entrust the task of caregiving to one of our home healthcare professionals. We can also assemble a team of nurses, nursing assistants and companions to employ the care plan that has been prescribed for you by your physician. Ultimately, the advantage that we offer is in bringing health services directly into your home – no need to consider lengthy hospital confinement or admission into a nursing home. We visit you at home to provide the services you need. – How do I know what services I will need at home? Precious Touch Home Healthcare, LLC can help you in choosing a care program or a set of health services. To request for an assessment, please use our online form.